It was while browsing through my file of LONGUENESSE (ST. OMER) SOUVENIR CEMETERY images that I came across one of many double headstones. The headstone remembered a soldier from the Cameron Highlanders named J Collins, Private S/14593 and W C Gibson, Corporal 1505 who served in the King’s Own Yorkshire Light Infantry. As I have a few online subscriptions it seems fit to follow the Yorkshire line – not that I don’t want to find the Scottish young man but Scotland’s People doesn’t seem to want to go down the subscription route, preferring the pay as you view option, which when looking for census, births, marriages etc., can work out a little on the expensive side. So the subscription route I will follow to find out who the young man from a Yorkshire Regiment came to lie in some corner of a foreign field. Who was W C Gibson, to his family and friends he was Walter Clarence Gibson, born in Dewsbury and residing in Batley? He was the son of Harry and Clara Gibson nee Murton. The couple married in the autumn of 1889 and during the years of marriage had seven children, sadly four of the children were to die before the 1911 census was taken. Walter in 1911 was an 18-year-old piecener in a local mill, as was his elder brother Robert. His father, however, was employed as a night watchman working for the council. Both Harry and Clara had not moved very far from their birthplaces – Harry being born in Earlsheaton and Clara in West Ardsley. Walter had been born on the 21st of June 1893. The following month his parents had taken him to St Peter’s, Dewbury for his baptism. 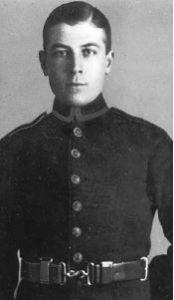 War was declared and eventually, Walter enlisted in Batley. He joined the 1/4th Btn of the King’s Own Yorkshire Light Infantry, serving as corporal 1505. 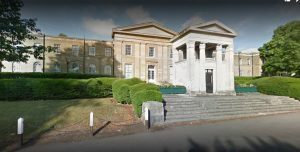 The 1/4th was a Territorial Btn that was in August 1914 stationed in Wakefield as part of the West Riding Brigade, later moving to Doncaster, then Gainsborough (that’s a story in itself) and by February 1915 to York. They were mobilised for war and entered France in the late Spring of 1915. From May of the same year, they took part in various actions along the Western Front. Killed by One Shell – Two Batley Chums Die on the Same Battlefield. 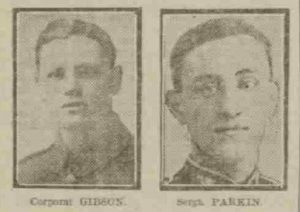 – Sergeant Clifford Parkin (son of Mr and Mrs William Parkin of Crlinghow, Batley) and Corporal Walter C Gibson (son of Mr and Mrs Harry Gibson, of Carlton Street, Batley), two chums wervin with the local ‘Terriers’. have fallen in action. 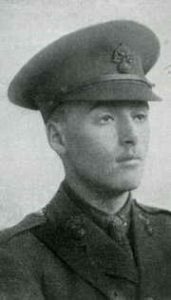 It is reported that a shell which instantly killed Sergeant Parkin also seriously injured Corporal Gibson that he died in hospital soon afterwards. 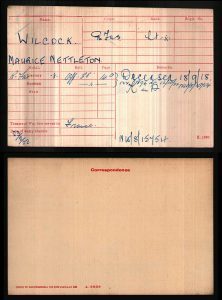 The collection of Soldiers’ Effects on Ancestry tells that Walter’s next of kin was his father, Harry, who in 1916 received over £8 from the War Office and in 1919 received a War Gratuity of £4. 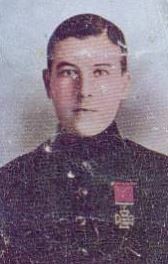 Walter was eligible for the Victory and British Medals. His family would have also have been eligible for the Memorial Plaque or ‘Death Penny’ as it became known accompanied by a scroll. 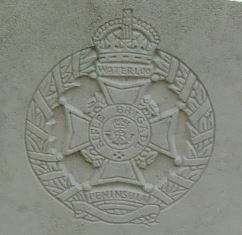 Walter, as we know rests in the Commonwealth War Graves Longenuesse Souvenir Cemetery just outside St Omer. 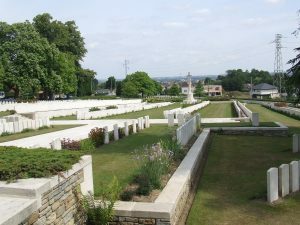 The cemetery contains the fallen from the Commonwealth, China, Germany, Poland, Czech, nurses and Commonwealth War Graves Commision Staff. Marshall, Walter’s younger brother also served in the King’s Own Yorkshire Light Infantry- the 8th Btn, as Private 202784. He was killed in action on the 8th of December 1917 and rests in Giavera British Cemetery, Arcade, Italy along with over 400 identified casualties. This entry was posted in General on March 28, 2018 by carol.